Ever wonder how Lord of the Rings was created? Where exactly did the idea for Middle-Earth come from? A new biopic explores the life and times behind the man that brought this iconic fantasy world to life. Today, we have the first trailer for Tolkien, which promises to be a nice companion piece to Peter Jackson’s Lord of the Rings and The Hobbit trilogies. Tolkien explores the formative years of the orphaned author J.R.R. Tolkien as he finds friendship, love and artistic inspiration among a group of fellow outcasts at school. This takes him into the outbreak of World War I, which threatens to tear the “fellowship” apart. All of these experiences would inspire Tolkien to write his famous Middle-Earth novels. Only In Theaters May 10, 2019, Tolkien was directed by Dome Karukoski with a script written by David Gleeson and Stephen Beresford. The expansive biopic was produced by Peter Chernin p.g.a., Jenno Topping p.g.a., David Ready p.g.a. and Kris Thykier p.g.a. The ensemble cast is lead by Nicholas Hoult as J.R.R. Tolkien. 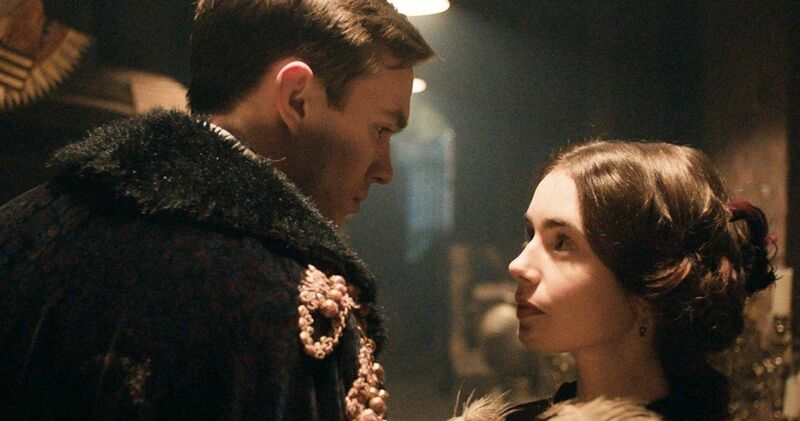 He is joined by Lily Collins, Colm Meaney, Anthony Boyle, Patrick Gibson, Tom Glynn-Carney, Craig Roberts, Laura Donnelly, Genevieve O’Reilly, Pam Ferris and Derek Jacobi. Tolkien has been a long time coming to the big screen. The project was first announced back in 2013, but production didn’t begin until four years later, with principle photography getting underway in 2017. The movie will not only explore Tolkien‘s personal life, but will also delve into the how, what and why of The Hobbit‘s inception and the true lore behind the Lord of the Rings origin. We’ll see how both his high school experiences and his terrifying participation in WWI shaped and formed this expansive and epic narrative that is still being studied and disected by professors to this day. Lily Collins will star as Edith Bratt, Tolkien‘s longtime love interest who plays a very important role in shaping the future author. The story takes place in the early 20th Century, with period accurate sets, props and wardrobe. Fans of the author should walk away with a well rounded idea of who the man was and how he came to be. Tolkien was bone in 1892 and passes away in 1973 at the age of 81. He didn’t live long enough to see the first animated movies based on Lord of the Rings. He’s best known as a writer, poet, philologist, and university professor. But he will be forever defined by his adventures with Frodo, Bilbo and Gandalf. Part of the biopic does traces his attempts to bring these books to the big screen in the 50s, but it wouldn’t be until 1977 that the first movie based on the works actually arrived in theaters. And from there, Peter Jackson turned the sci-fi fantasy tale into 6 epic movies that have won quite a few Oscars, including Best Picture for Return of the King. You can take a look at Tolkien direct from Fox Searchlight. This sneak peek offers but a glimpse into the writer’s real world. But it opens the possibilities for something truly unique and special.